Beau aka "allez Beau Geste"
I walk dogs with some great names. Barley. Dudley. Poncho. Homer. Beau. Etcetera. Not only are they fun to say, but every one of those dogs fits his or her name perfectly. Either every owner was inspired by a bolt of lightning from heaven, or the dogs have so finely tuned their canine empathy with humans that they intuitively understand every historic or poetic reference contained within their names and divine the appropriate emotive response from the way we pronounce every syllable. Like Mozart staring at a refrigerator covered with little magnet quarter notes, the dogs pull meaning from chaos and transform a sound into something natural and irrefutable. They are brilliant linguists and don’t even know it. Other names I like to create nicknames for so I feel like I’m talking to the right dog. Buddi. Sally. Jackson. Annie. Biscuit. Tsuki. The pooches do their best with what they’ve been given, but Orecchio is simply too big a handle for a small dog; “Rekyo” fits better. Biscuit usually needs an adjective (Soggy, Crazy, Quick, Anything). Tsuki becomes a verb (to Tsuk: writhe around in snow or grass–or a rug if no snow is available–and snort and wag and generally look like the happiest thing that every lived). Sally becomes “Fräulein” (just cause). 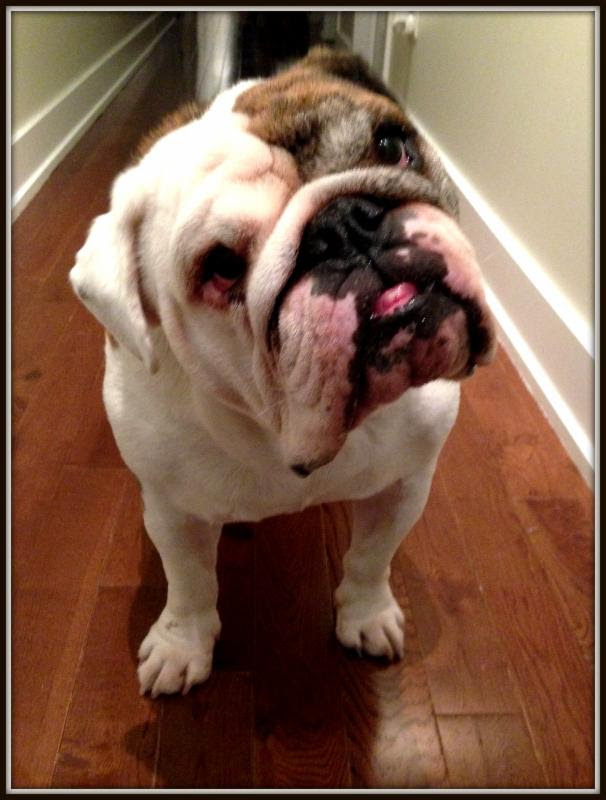 Dudley’s name fits great, but still he has been awarded some other titles, such as Mister, Captain, or Doctor. 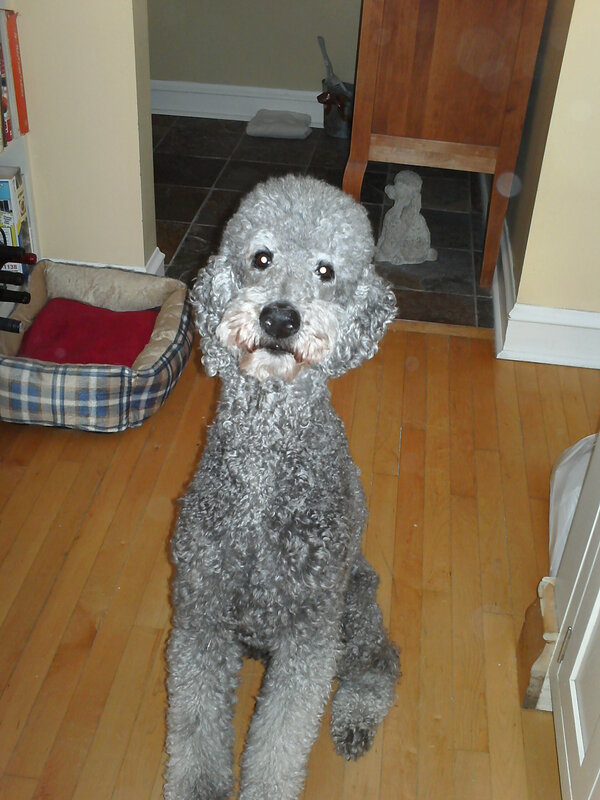 Beau is a Standard Poodle and naturally speaks French, so he comes to “allez Beau Geste!” Tucker is jolly, celibate (neutered) and a bit of a rascal, so I have no choice but to call him Friar Tuck. Bailey is thrilled by everything so much so that her name replaces every word in my vocabulary while we’re together. Sit, come, look a squirrel, here’s a treat: it all comes out as “Bay Bay!” When I walk in the door and find her wagging with a toy in her mouth, I declare “it’s a Baaaaaayleeee” because simply commenting on her existence seems to bring her great joy. Though she doesn’t strike me as a creature much hung up on existentialism, who doesn’t like their presence confirmed now and then? If a Bailey wags in the forest and no one is around, is it still really cute? I assure her that she is. I’m especially fond of the two-dog names. “Jackson and Poncho” has become “JacksonPonch”, just as Morgan and Barley have morphed into MorganBarley. That is to say, they’re not just becoming easier on the tongue, but also forming a new super-organism superhero. Like a little wolf-pack or a bee hive of two, they are different parts of the same animal, each joined by a syllable to invoke a great magical beast strong enough to guard the gates of hell. I know this is true because when I walk in and shout “Morganbarley!” I am greeted equally by both parts of the superdog. If I say “good dog”, both tails begin to wag though it is clear to everyone that I did not say “dogs” plural. The wagging and bunny-hopping Jacksonponcho both respond to their name by saying “Yes, it is I, and so is Us! Take me both for a walk!” It’s wild. Though dogs are brilliant linguists, able to see right through all the clutter of grammar and syntax and divine the true meaning of what’s said to them by it’s tone and volume, I’m a little concerned that they might take this too far. What if they forget the the name etched on their collars? What if, for example, Jackson Poncho becomes so convinced of his/their new identity and so eager to embrace the life that correlates to the way I pronounce his/their name that he/they actually leave home one day to become heroic airship pirates? What if Morgan Barley actually goes to London and becomes a prominent barrister? I’d have alot of explaining to do to their owners. But it’s not really my fault (I’d say) because, well, it came to me in a bolt of lightening. This entry was posted in Diary of a Dog Walker and tagged dog nick names, dog walking on April 6, 2011 by admin.